Many of you may have known Sharon as an activist academic. 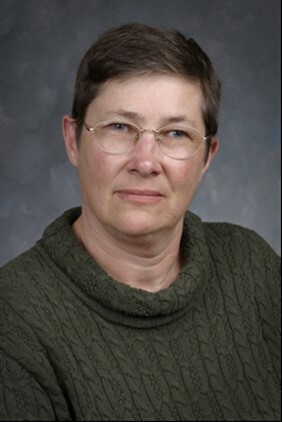 She was Professor and Chair of the Sociology Department at Lakehead University. In 1990 she edited, and contributed to, the path breaking collection Lesbians in Canada http://btlbooks.com/book/lesbians-in-canada. In 2007 Sharon wrote A Change of Plans: Women’s Stories of Hemorrhagic Stroke http://www.cwhn.ca/en/node/40296. In May 2014 Working Bodies: Chronic Illness in the Canadian Workplace, co-edited with Drs. Valorie Crooks and Michelle Owen , was published http://www.mqup.ca/working-bodies-products-9780773543782.php. For over three decades Sharon raised awareness about chronic illness and disability, and advocated for better social policy. She was a critical scholar who joined forces with non-academic communities to bring about change. Poverty and economic disadvantage were central to Sharon’s work. In addition to her three books Sharon wrote more than 50 journal articles, book chapters, reports and reviews. In her younger days in Toronto she was involved with groups such as Lesbians Against the Right, the Toronto International Lesbian and Gay Association (ILGA) Support Group, and the Toronto Lesbian and Gay Pride Day Committee. In addition to Sharon’s remarkable activism and scholarship, she was an inspirational teacher and trusted mentor. Sharon was also a mother, an animal lover, and a devoted friend. She is dearly missed by the people who loved her. Those who were fortunate enough to be close to Sharon were truly blessed. She was funny, and sweet, and insightful, and humble, and very kind. For more information please contact Karen Woychyshyn kwoychys@lakeheadu.ca or Michelle Owen m.owen@uwinnipeg.ca.